Wracked by turmoil in the credit markets, the insurance giant posts $62 billion quarterly loss. Government amends bailout to insulate financial system. NEW YORK (CNNMoney.com) -- The U.S. government, saying it needed to prevent broad damage to the financial system, announced Monday that it was again restructuring the bailout of American International Group after the battered insurer reported a staggering $62 billion quarterly loss. Overwhelmed by ongoing deterioration in the credit markets and charges related to its restructuring, AIG's losses overwhelmed the firm during the fourth quarter. Its $61.7 billion loss was the largest ever reported by an American company. AIG's loss for the full year was even more dramatic -- $99 billion. In 2007, the company reported a profit of $9.3 billion. The government said it was overhauling its bailout to help the besieged firm unwind in an orderly way. "Given the systemic risk AIG continues to pose and the fragility of markets today, the potential cost to the economy and the taxpayer of government inaction would be extremely high," the Treasury Department and Federal Reserve said. AIG , which does business in more than 130 countries and has approximately 116,000 employees, oversees roughly 74 million insurance policies. Edward Liddy, AIG's chairman and CEO, said that Monday's actions were necessary to tame fears that the insurer's customers and business relationships are at risk. "We need to keep some confidence in the system," he said in an interview with CNN. "What the Fed is doing through AIG is taking every step possible to keep confidence in the financial system." The new rescue plan would help AIG conserve much-needed capital by, among other things, lowering the interest rate it pays on its government loans. 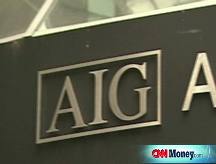 The revamped rescue plan -- now totaling $162.5 billion -- commits another $30 billion to AIG. The payment will come from the second half of the $700 billion rescue package enacted last fall. But some industry analysts are already wondering whether that will be enough to insulate AIG going forward. "I would expect to see the $30 billion used and then it is a question mark," said Donald Light, senior analyst at the Boston-based financial research and consulting firm Celent. "I think everyone is being pretty careful to say what is going to happen over time." At the same time, Treasury will exchange $40 billion in preferred shares it already holds for shares that more closely resemble common stock. The change could spare AIG from having to pay a large dividend to the Treasury. The new bailout terms will help prevent further declines in the credit rating agencies' assessments of AIG. Shortly after the government's announcement, Standard and Poor's affirmed AIG's A-/A-1 credit rating. The government first got entangled in AIG in September with an $85 billion emergency loan. Regulators feared that the collapse of the firm would have had disastrous consequences for the financial system. Since then, the government has pushed the New York-based insurer to sell pieces of its business to repay its loan commitments. 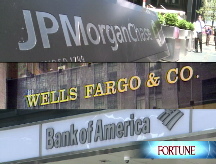 But a tough economic environment combined with a weakened appetite among potential buyers has hampered those efforts. "AIG is executing one of the most extensive corporate restructuring programs in history at a time when the global economy and capital markets are in turmoil," said Liddy, who was appointed to lead the firm this fall after the Federal Reserve arranged financing for the insurance giant. So far, the company has managed to shed just a few divisions including Hartford Steam Boiler Inspection, as well as its stake in the Brazilian bank Unibanco. Both AIG executives and government officials indicated that Monday's agreement, which marks the third revision to the government's rescue efforts, would help AIG separate its different business units into distinct property and casualty insurance businesses. One noteworthy revision to the government's rescue plan centered on the terms of a $60 billion credit facility that was created by the Federal Reserve Bank of New York. That line of credit will be reduced to no less than $25 billion in exchange for giving the New York Fed a stake in two life insurance subsidiaries owned by AIG. At the same time, regulators said they would relax some of the terms of AIG's repayment by lowering the initially agreed to interest rate. Government officials said that they expected the more lenient lending terms to save the company anywhere between $900 million and $1 billion annually in interest payments. At the same time, the New York Fed said it was ready to provide up to $8.5 billion in credit to certain life insurance divisions owned by AIG. Money generated from life insurance policies are expected to be used to repay those loans, Treasury said. The government's efforts to prop up AIG yet again comes just days after regulators moved to shore up Citigroup (C, Fortune 500). On Friday, the Treasury converted part of its preferred shares in the beleaguered bank, giving it control over as much as 36% of the firm's common stock, a shift that is designed to improve the embattled bank's capital base, which in turn will hopefully allow it to increase its lending. One of AIG's biggest troubles, both this quarter and over the past year, has been the firm's exposure to credit default swaps -- essentially insurance contracts -- on collateralized debt obligations, or CDOs. The value of the CDOs plummeted in 2008, and AIG was forced to post more collateral to back up the swaps. The company also took sizeable writedowns on its subprime mortgage-backed securities holdings, which fell in value as the housing crisis wore on. The company's financial products division, which housed those products, was among the hardest hit this quarter, reporting a $17.6 billion loss. Some analysts have estimated that AIG could be in line for as much as $100 billion more in government aid at some point, putting the exposure of the American taxpayer to the insurer in the neighborhood of a quarter of a trillion dollars. Liddy, the AIG CEO, declined to address the question of whether further intervention would be needed. Instead, he pointed out that his firm intended to reimburse taxpayers, and that its plan to transfer two life insurance subsidiaries to the New York Fed would help reduce its obligation to the American public. "In the United States of America when you owe people money, you pay them back," he said.